What does Bluetooth have to do with 5 GHz Wi-Fi? Nothing. Bluetooth operates in the 2.4 GHz frequency band. If you look in the right spot, however, Bluetooth can teach you something about 5 GHz Wi-Fi. Specifically, the Bluetooth 5.0 specification can teach you that Dual 5 GHz access points are a bad idea. 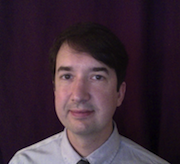 This blog's opposition to Dual 5 GHz access points (APs) is not news to long time readers. The 'Two Radios Are Better Than One (Unless They're Both 5 GHz)' blog post, which details how Dual 5 GHz APs (like Cisco 3800 Series APs, for example) make enterprise Wi-Fi less stable, is nearly three years old. The vast majority of Cisco Wi-Fi networks can be fixed without having to spend precious time and money on surveying, adding new access points (APs) or moving existing APs. Here's how. Cisco has some very fine enterprise Wi-Fi products. Unfortunately, those very fine products often get deployed in a manner that leads to connectivity and performance issues. The following steps take about ten minutes to perform, and will stabilize connectivity and performance for the vast majority of enterprise-class Cisco Wi-Fi networks. Anything in bold is something to click or select or check or uncheck or type. 1. 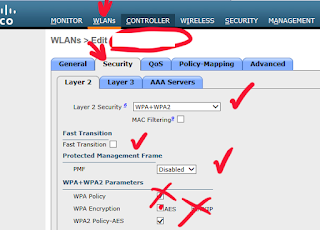 Access the Cisco wireless LAN controller (WLC) interface via a web browser.